The Lower Silurian Longmaxi Formation black shale unit at the southwestern margin of the Yangtze Platform has a great potential to contain shale gas. Based on the geochemical and microscopic characteristics of the Longmaxi Formation black shale unit, the depositional environment and the characteristics of the silica in the black shale were analyzed. The mechanism whereby the Longmaxi Formation black shale unit in the study area was enriched in organic matter is discussed from the perspective of upwelling and sea-level change. 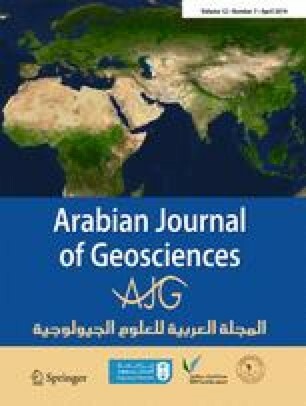 The conclusions of the research are as follows: (1) The shale in the Gesala section with a total organic carbon (TOC) content greater than 2% is approximately 55 m thick, which is favorable for shale gas accumulation in the study area. (2) The Longmaxi Formation black shale unit was deposited in an anoxic marine environment. Marine primary productivity was high during the deposition of the Longmaxi Formation black shale unit. (3) The Longmaxi Formation black shale unit is rich in biogenic silica due to the development of ocean upwelling. (4) Upwelling and sea-level rise jointly controlled the enrichment of organic matter in the Longmaxi Formation black shale unit. The upwelling supplied nutrients and promoted biological reproduction, which promoted marine primary productivity. The higher productivity also contributed to the formation of an anoxic environment in the bottom seawater. The sea-level rise was favorable for the formation of a reducing deep-water environment and deposition of fine-grained sediments, which was beneficial to the preservation of organic matter. This study would not have been possible without the assistance of Bin Deng, Jianghong Deng, Heng Fu, Fufeng Zhao, Mingshi Feng, and Xinwei Wang, especially their help in the field work, geological sampling, and some experimental analyses. The author(s) disclosed receipt of the following financial support for the research, authorship, and/or publication of this article: This study was supported by Geological Survey Project of China Geological Survey (121201010000150004-08) and National Natural Science Foundation of China (41172162, 41340005, 41372114, and 41502116).